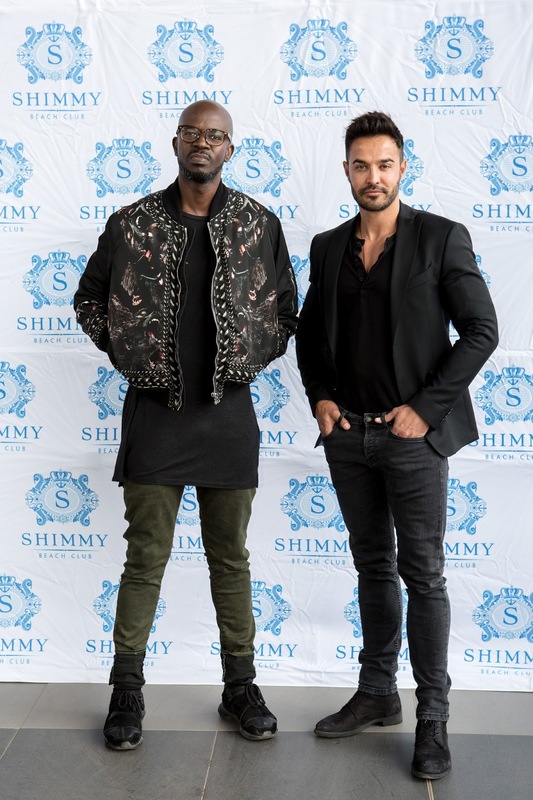 Cape Town’s hottest lifestyle destination, Shimmy Beach Club, has signed a new resident DJ for Friday nights throughout the 2016 summer season. Multi-award winning DJ and Producer, Black Coffee, will be hitting the decks live at Shimmy Beach Club, starting on Friday, 9 December 2016. Voted as Cape Town’s hottest Club by Zomato, Shimmy Beach Club is headed by Group CEO Nicky van der Walt. This premier party venue balances the style of international party life and the laid-back atmosphere of Cape Town, making it a stylish venue to rival Ibiza’s beach club scenes. known as Black Coffee, has released five albums under his record label, Soulistic Music. He was awarded a BET award for Best International Act: In Africa this year. In 2007, he became a household name in the SA DJ scene, firing up floors with his tribally infectious, vocal-laced beats. Additionally, he recently won 4 awards at the South African Music Awards (SAMA) including Album of the Year, Best Dance Album, Best Engineered Album and the International Achievement Award. In 2015 he was also awarded “Breakthrough DJ of the Year” in Ibiza and has been nominated again this year in the “Deep House” category for the 2016 DJ Awards. Black Coffee’s penchant for true Afropolitan house: home-brewed but fresh and future-focused. The global superstar believes that the use of live instruments in a song is very important, as it brings the track to life. His fifth album, “Pieces Of Me” and the debut single “We Dance Again” (featuring vocalist Nakhane Toure) triumphantly hit the number 1 spot on iTunes and the album went on to reach double platinum status within 3 months of release. Tickets will be available via shimmy.nutickets.co.za soon. To book VIP table bookings email tickets@shimmybeachclub.co.za or call 021 200 7778. The closest parking lot to Shimmy Beach Club is The Clock Tower parking, V&A Waterfront, with Shimmy shuttles running frequently between the venue and the parking. It is however recommended that partygoers make use of a reliable taxi service.